About - ALBANY THERAPEUTIC RIDING CENTER, INC.
Albany Therapeutic Riding Center, Inc. is a PATH Intl. Accredited Therapeutic Riding Center and was incorporated in 1981 as a 501(c)3 not-for-profit organization by Chris Lehman. ATRC was the first therapeutic riding center in our area. Chris was the heartbeat of ATRC as the founder, board president, and PATH Certified Riding Instructor, but sadly passed away in early January 2017 after a life long dedication to service. 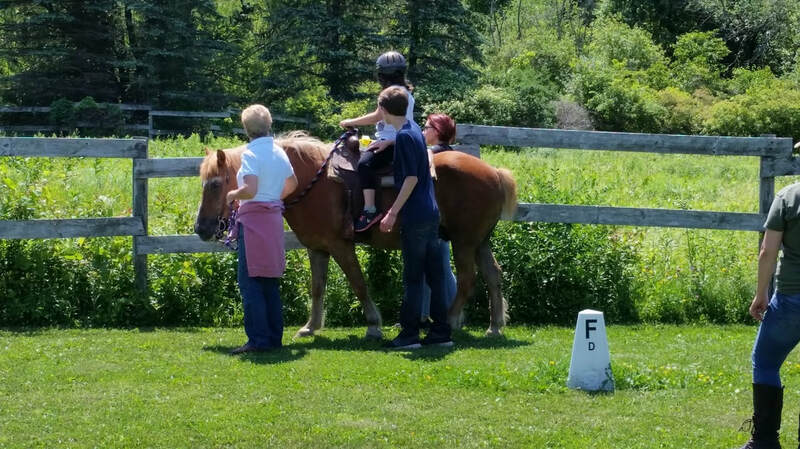 Since it's beginning, ATRC has provided therapeutic riding lessons and instruction to individuals of all ages and ability levels in the Greater Capital District area. ATRC is dedicated to helping students gain confidence, independence, and further physical, cognitive, and emotional development. We are certified by the Professional Association of Therapeutic Horsemanship International (PATH Intl.) and are powered primarily by volunteers. Our facility is located at the base of the Helderberg Escarpment in the Town of New Scotland (Voorheesville), New York in a peaceful and quiet setting.